This mug is perfect for couples, it makes a great valentines, engagement or wedding day gifts, it is sure to make some smile…ALOT. You can input your own names or initials into the heart. 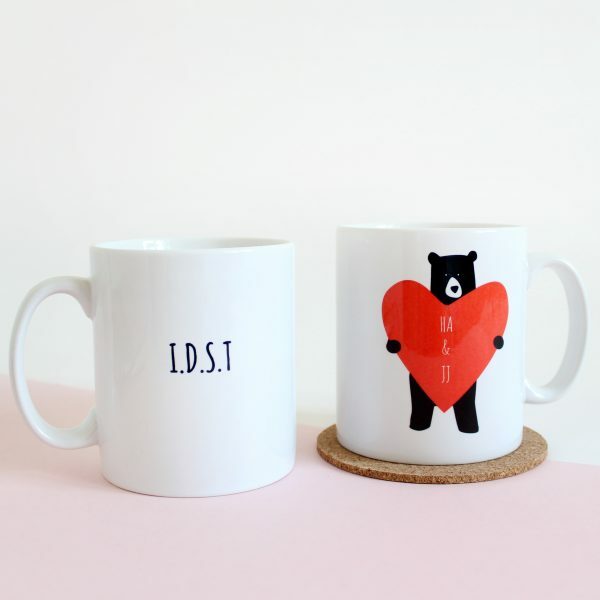 These ceramic mugs are dishwasher safe at lower temperatures, but we would recommend hand washing them in order to keep them looking their best.